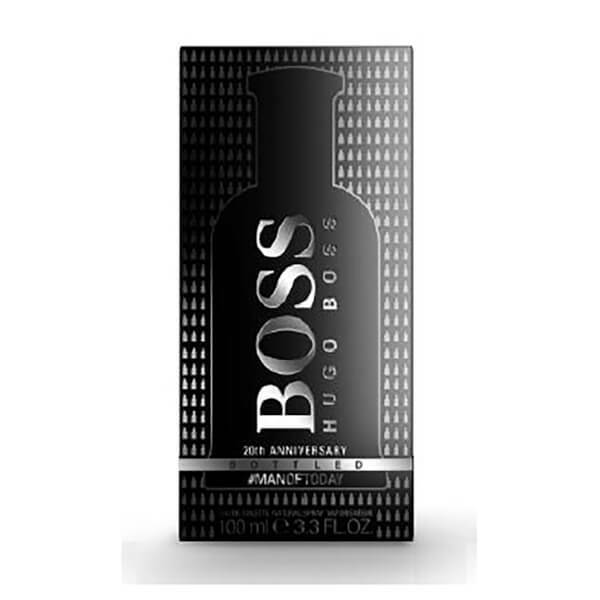 Created for the modern man, Hugo Boss has formulated a Limited Edition BOSS Bottled Eau de Toilette to celebrate their 20th Anniversary. Crisp, fresh and elegant, the contemporary scent exudes confidence with its fruity opening of Apple that leads into a mysterious heart filled with Geranium and warm, spicy Cinnamon. Encapsulating BOSS in a bottle, the sophisticated EDT settles on a base of sensual woody notes. Housed in a sleek bottle with clean lines.